Everything you wanted to know about Hazelwood, but was afraid to ask. 1949 – The State Electricity Commission of Victoria (SECV) begins developing the brown coal reserves at Morewell, also known as the ‘Morwell Project’. 1959 – Hazelwood Power Station is approved. It’s planned to consist of six 200 MW generating units, giving a total generating capacity of 1,200 MW. 1963 – Growing demand for electricity forces the SECV to review this capacity. 1964 – Hazelwood begins its commission. 1965 – Approval of two additional units is granted. 1971 – After twelve years Hazelwood is finally fully functional producing 1,600 megawatts of base load electricity. 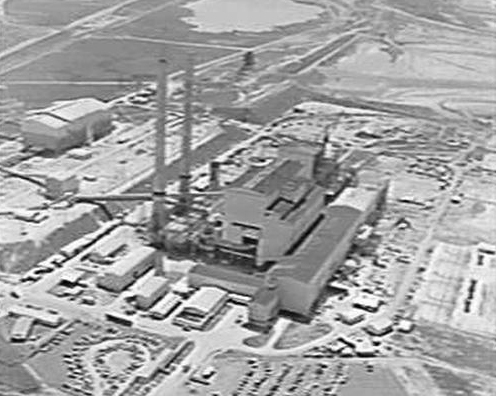 1970s – Expansion in the Lartobe Valley continues with Yallourn W replacing older units and delivering greater reliability using Japanese and German technology, compared to the previously utilised equipment from the UK. A new gas fuelled power station was also proposed in the early 1970s but met opposition from nearby residents becoming the first major SECV project that met widespread opposition from the general public. It was not opened until the 1980s and with only half the proposed capacity. 1980s – Two new power stations in Loy Yang are built. The project was hit by cost overruns and an independent review finds excessive rates of construction, poor project management and general over-manning. 1992 – SECV announce that Hazelwood will be retired in 2005, to follow older plants at Newport and Yallourn. 1994 – After 79 years of looking after Victoria’s energy needs, the Kennett government split the SECV into five distribution and retail companies. 1996 – 92% of Hazelwood is purchased for $2.4 billion by UK-owned International Power (IP), who were previously the UK’s Central Electricity Generating Board which was privatised itself in 1990 by the Thatcher government. The Commonwealth Bank pick up the remaining 8%. The deal makes it into The Mayne Reports The great power industry shuffle list and is described as “ridiculous”. 1997 – Hazelwood Power Station was one of the first signatories to the Commonwealth Government’s Greenhouse Challenge program. 2003 – IP are told by the State Government that greenhouse emissions from the Power Station are outside of the scope of the environment effects statement, which the government itself, required IP to produce in regards to a planned extension to mining operations, essential as the current mine is reaching capacity. Brown coal being less economical means it must be mined close to where it is burned. To not grant the mines extension means Hazelwood’s closure is imminent. 2004 – “It’ll be interesting now if we are given enough of a future to repay the investment” Dave Quinn, working on Hazelwood’s $85 million upgrades. Taken from IPs annual report. Nimby (not in my backyard) protests stop the development of wind farms in Ballarat and Macedon whilst after two years of negotiations the Brack’s Government extends the life of Hazelwood power station. The deal includes a $400 million expansion of the mine, an extra 43 million tonnes of coal for IP, the approval to mine 436 million tonnes of coal within the company’s license and the ‘realignment’ of Strzelecki Highway, Morwell River and 16 homes. 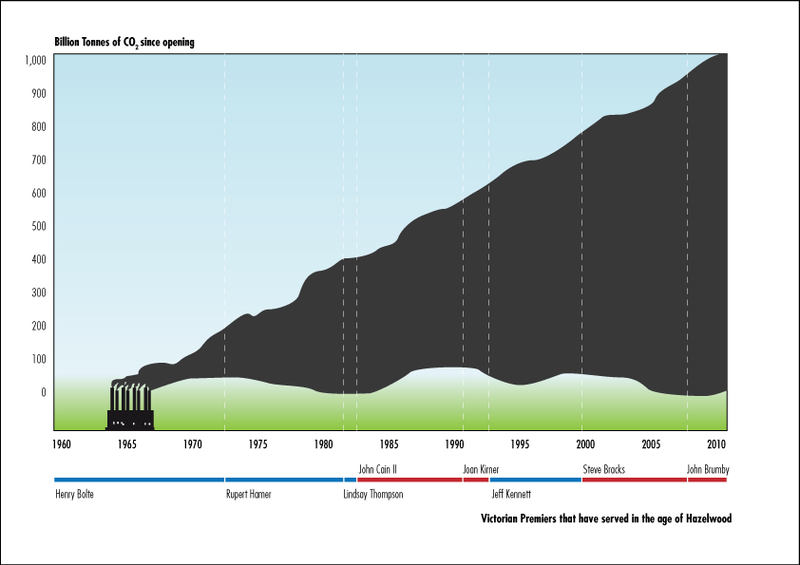 As a part of the agreement if IP emits more than 445 million tonnes of CO2, Hazelwood must close. However if they pollute over this cap they can off-set it by purchasing credits from renewable energy to enable them to continue polluting. The company must also demonstrate cleaner coal technologies. 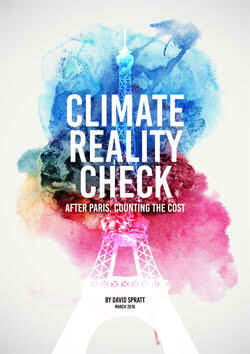 Then Premier, Steve Bracks says the deal “struck the right balance between our environmental priorities and the need for a secure and affordable energy supply”. “A reduction in greenhouse gas emissions is already urgent, particularly at a time when energy demand and greenhouse gas emissions are increasing. 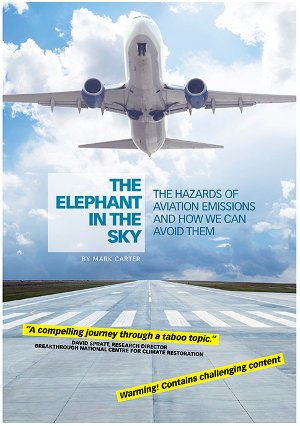 The earlier that action is taken, the more orderly will be the transition to a low-carbon future”. 2009 Sep – Several hundred protesters issue a “Community Decommission” notice to IP at the Switch of Hazelwood protest. 2009 Oct – Hazelwood opens a $10 million demonstration plant. The facility captures 25 tonnes of CO2 per day (which is 0.05% of the plant’s total of 11.5 million emissions per year) at an estimated cost of about $1100 for each tonne captured. Premier John Brumby becomes ”the leading advocate” in Canberra to secure more compensation for the old brown coal-fired stations in the emissions trading scheme. In response to the Switch of Hazelwood protest the Victorian Government introduces new laws that can lead to a $28,000 fine and up to two years in goal. 2010 Jan – IP announce a restructure to the $742 million Hazelwood Debt. The banks providing the restructured facility are Australia and New Zealand Banking Group, Bank of America, Bank of Tokyo Misubishi UFJ Ltd, BankWest, BNP Paribas, BOS International, Calyon Australia Limited, Credit Industrial and Commercial, DBS Bank Ltd, Dexia Credit Local, Fortis Bank SA, Norddeutsche Landesbank Girozentrale, The Royal Bank of Scotland plc, Societe Generale, United Overseas Bank Limited, West LB AG, and Westpac Banking Corporation (bold added to Australian Banks). 2010 Feb – The executive director of IP Australia, Tony Concannon, announces that the power station may close by 2016 if the CPRS is passed in Parliament. 2010 April – Alcoa announces that it will continue to depend on the States Brown Coal for power, but will no longer source that power from IP. 2010 May – IP caught out lobbying against energy efficiency measures (“Energy efficiency efforts will hurt our profits, says big polluter”, The Age, 20/5/10). The Replace Hazelwood campaign is launched by a coalition of environment groups and community organisations. Environment Victoria’s report shows that Hazelwood can be replaced within two years by bringing forward projects that are already in the pipeline. 2014 February – Hazelwood mine fire burns for 45 days in February and March creating an air pollution disaster for Morwell and the La Trobe Valley. It is the worst pollution disaster in the state’s history. 2016 February – Worksafe Victoria announce charges against Engie companies with 10 breaches of health and safety regulations regarding the mine fire. 2016 March – The Victorian Environment Protection Authority announces prosecuting air pollution offences charging four companies in regards to the 2014 mine fire. 2016 April 15 – Andrews Government announces response to mine fire enquiry with $50 million increased health and air pollution monitoring focus and a staged increase in mine rehabilitation bonds up to the self-assessed value of rehabilitation costs and foreshadows developing a more effective system to set future mine rehabilitation bonds. Entry filed under: Hazelwood, Replace Hazelwood. Tags: Brumby government, coal, Dan Andrews, Hazelwood, Hazelwood power station, mine fire, Morwell.